The main aim of an effective email marketing strategy is to engage a potential customer, and convert that into a real customer. However, this is much easier said than done. While most companies score very poorly on even succeeding in getting potential customers to open their emails, there are some simple ways to improve this. Let’s take a look at some of the factors that contribute to a successful email marketing campaign. Many emails will simply go straight into the spam folder of a potential customer. One of the main reasons for this is the services offered by internet service providers (ISPs), and email service providers, to cut down on the amount of spam they allow through to their individual members. In recent years, businesses have been working hard to improve relations with ISPs, and have been reducing the amount of spam – and spam complaints- received and issued by consumers. Remember, that an email sent out to a potential customer is effectively unsolicited. This is an important point. Using the best practices available means that businesses can build up trust with ISPs and email service providers; if you become trusted, your email will not immediately be binned by the email service providers. In fact, the inbox systems of service providers are constantly changing and being updated; new tools involve informing members whether a certain company is trustworthy or not. Getting to this trusted status will be a big boost. In order to progress from a potential customer into an actual customer takes a little understanding of the consumer cycle. 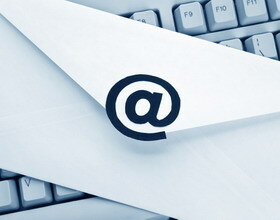 The point of the initial email is to try to form a relationship with the potential customer. From there, building on this relationship will give you an enhanced understanding of the timings involved, from the point of view of offering a service or product. Clearly, sending out a marketing email about new windows to a client who just had new windows installed, is not going to be met favorably. Building up an overall picture related to your potential customer, and the various happenings in their life will enable a company to understand the needs and desires of any potential customers, and send the marketing email at exactly the right time, offering a product or service that the customer is actually in need of. It can be tough at certain times to consistently engage with potential clients. During off peak times of the year, such as the summer months when many people take vacations, it can be difficult to even have your potential client open the mail, even if you have sought to build up a relationship with them prior to this. However, as above, if you understand the client’s lifestyles and motivations, you can adopt your marketing strategy as needed. Many people who are on vacation will have their mobile phones linked to their inbox, and you will be better placed to get them to open the email if you are at least known to them through the relationship you have built up. Of course, the other difficulty with this approach is the amount of time and strain put on the business spent sifting through any relevant or irrelevant content. As the content itself has got to be spot on to engage the customer in the first place (so it appears to be almost personal to them individually) this entails refraining from sending out services and products which the prospective customer will never need. Sending an email about gas services to a customer who only uses electricity in their property for energy is a sure way for them to ignore your next email. Although it has taken a bit of time for the marketing strategies to acknowledge this fact, more and more businesses are doing just this, and those are the businesses who find success when using emails as a marketing strategy to attract and hold on to new customers.